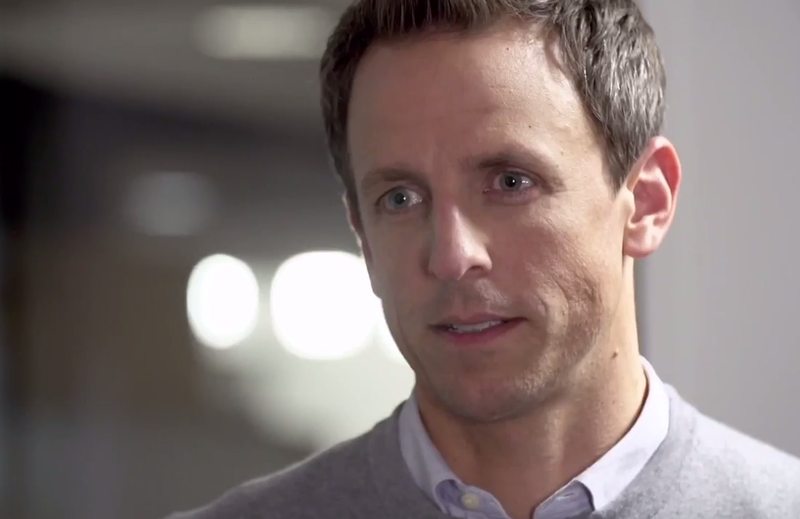 Watch: Did Seth Meyers Just Murder All Aaron Sorkin Parodies Forever? Of all the parody sketches of screenwriter Aaron Sorkin ("The Social Network," "The Newsroom") on "30 Rock" or "Saturday Night Live," Seth Meyers might have just thrown down the best one we’ve ever seen, crowning himself king of all Sorkin Spoofs. A sketch within a sketch (a sketch-ception? ), Meyers and his team hit every Sorkin-syncracy of his classic post-modern style, acting out the very concepts they poke fun at. Like most things attached Seth Meyers, it’s hilarious. Take a look right here.